The Men's X Ultra 3 LTR GTX is packed with premium features that make it ideal as an everyday shoe that can keep up with more rigorous trekking or hiking. For years of comfort and durability on the trail, the Men's X Ultra 3 LTR GTX features a full grain leather upper that is ultra durable and softens with age so your shoes only get better the more you use them. Laser engraving on the lateral side of the shoe adds some styling detail. This mid-height shoe has a full GORE-TEX membrane that provides superior flex and cushion all whilst being ultra lightweight. The GORE-TEX membrane is an extremely thin layer of expanded polytetrafluoroethylene (ePTFE). It has over 9 billion pores per square inch and it's these pores that give the GORE-TEX fabric its characteristics. Wet fabrics rob your body of warmth. This waterproof membrane allows you to stay dry whilst allowing air to permeate, ensuring you keep comfortable on long runs. 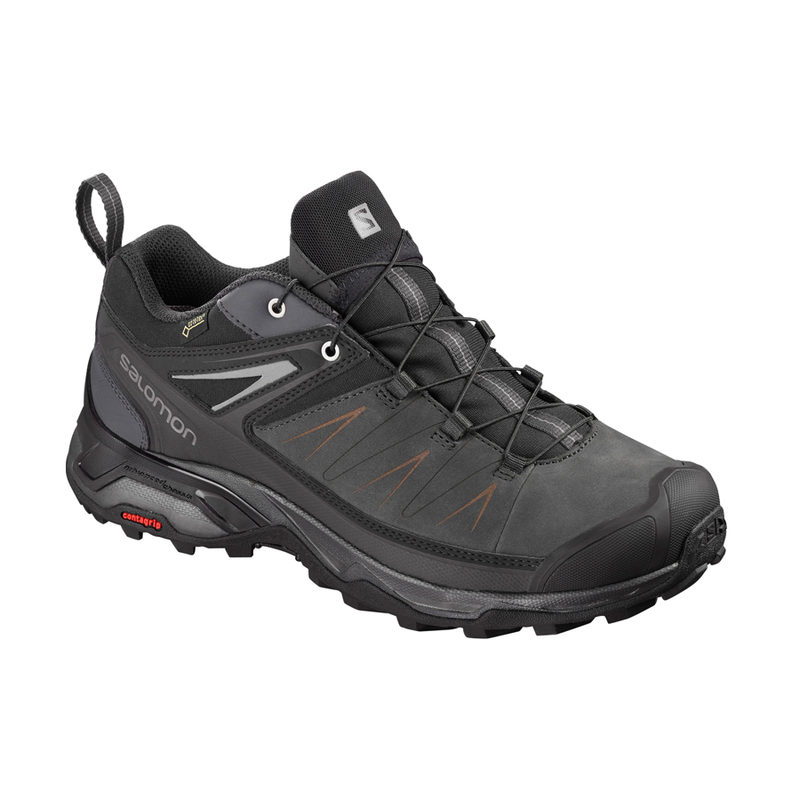 These shoes have a proven fit desigined to deliver instant comfort to any foot, includes Salomon's Quicklace system to give a secure foothold with fast adjustment and out-of-the box comfort. Gore-Tex Membrane - Offers enhanced breathability as well as providing complete protection from water. Full Grain Leather Upper - Ultra durable and improves with age.